With tons of arrangements and event alerts every day, one can be very much vexed when changing to a new iPhone or iPad yet not knowing how to transfer those data to other devices. Setting those tideous alerts again can be time consuming. 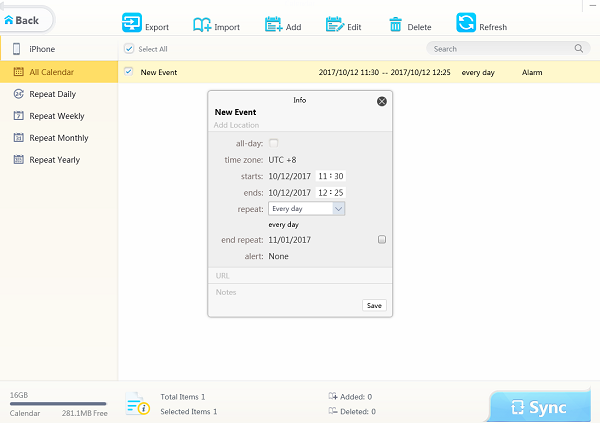 Then how to sync calendar from one iPhone to another iPhone/iPad easily as a whole file? iPhone Manager provides the answer. DearMob iPhone Manager can let you export the whole calendar events/marks from one iPhone to new iPhone as a *.plist file. To sync music, albums, ringtones between iPhone and Mac/Windows? Use the ultimate free solution for iPhone transfer - DearMob iPhone Music Manager! ● Transfer music, songs MP3 AAC between iPhone & computer/Mac free. ● Create, edit playlist, change album & artist info in the easiest manner. ● 1-click tailor-make ring tone out of your favorite song for iPhone. DearMob iPhone Manager's calendar syncing principle is to let you export calendar from iPhone to computer and then import the data from computer to another iPhone. It works on Windows and Mac devices as an extractor and feeder at the same time. It even allows you edit calendar alerts from computer/Mac end. 1. How to Sync iPhone Calendar with Mac/Windows? Sync iPhone Calendar with Mac/Windows with iTunes can be very easy, but how to export iPhone calendar to Mac/Windows without iTunes? 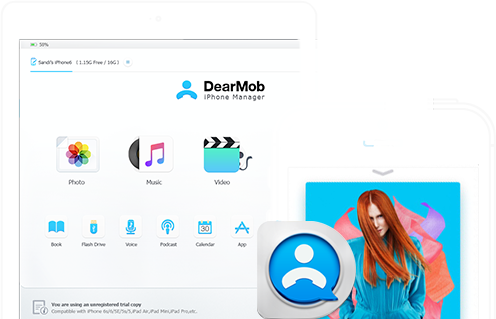 - You need DearMob iPhone Manager. Connect your iPhone X/8 with iPhone Manager installed computer and "Trust This Computer". Step 1: Click "Calendar" button and you will arrive at the interface above. Step 3: Click "Edit" and you can make adjustments. Note: the *.plist calendar cannot be imported to Mac/Win calendar, rather it is saved as a backup file at presant. iPhone Manager will soon add support for imgrating iPhone calendar to Mac/Win. 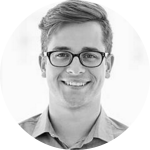 With *.plist file saved in your computer, you can now sync iPhone Calendar with another iPhone, namely your new iPhone X/8 or someone else's iPhone, using DearMob iPhone Manager. Step 2: Click calendar and then click "Add"
Step 3: Browse and select the target iPhone Calendar for syncing. Step 4: Click on "Sync" button to sync iPhone Calendar on another iPhone. This method also applies to iPhone calendar sync with iPad, iPad Pro, iPad mini. 3. How to Sync iPhone Calendar on Outlook? 6. 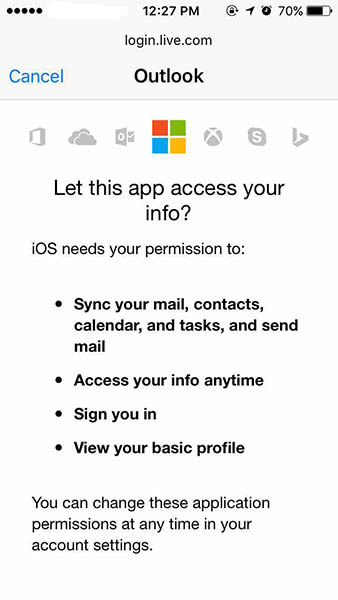 Sign in to Microsoft Account and allow it to sync your calendar. 7. Choose to sync calendars or contacts. To sync iPhone calendar with Gmail and other mailboxes like Yahoo, Exchange, or if you want to add CalDAV account/Subscribed Calendar, you can also visit "Add Acount > Other > Calendars" and make your decisions. iPhone contacts missing after iOS 11 upgrade? Hundreds of lost contacts iPhone could bring all kinds of inconveniences to you. What should you do when iPhone contacts disappeared all at once or after iOS 11 upgrade?